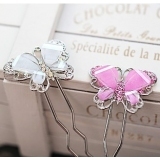 Favordeal Hair Pins, offers large selection of latest Hair Hair Pins, vintage hair pins, decorative hair pins, antique hair pins, hair pins accessories, hair pin cotter, hair bobby pins, cheap hair pins for women and girls. Up to 35% Off wholesale price! Enjoy Yourselves Now, You will love Favordeal. Save more!